Update: The Asus Eee PC 901 is a netbook with an 8.9 inch display, a 1.6 GHz Intel Atom N270 processor, and a solid state drive. The laptop was released in 2008 and it was one of the first mini-laptops to feature an Intel Atom processor. Asus doesn’t sell this model anymore, but you can still find Linux software and Windows XP drivers at the company’s support page. That means if you have a Linux model, you can also install Windows XP yourself using a USB disc drive or by using a USB flash drive and a tool such as WinToFlash which lets you install Windows on a computer that doesn’t have a disc drive. You can also find the user manual on the support page. I know that the 901 is out in the UK on the 1st July but has anyone heard which companies will be selling them after this date? 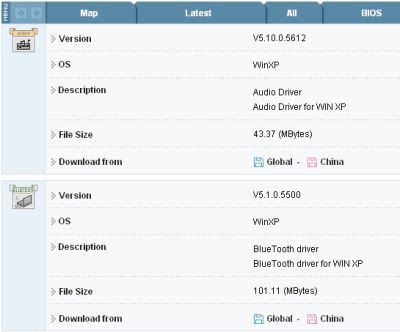 Are these the same drivers for Asus EeePC 1001 too ? how can i shut of that function? are this all drivers really working ?